Apollo 13 is about to undertake one of the most improvised and dangerous re-entries ever attempted by NASA. Will John Aaron and the Tiger Team figure out how to power back up the Command Module in time? Has the heat shield been damaged? Are their parachute's frozen? This is the final episode of Apollo 13. But be sure to subscribe to the podcast because we will be releasing an Addendum episode in late March 2019. In this episode we'll take a behind the scenes look at Apollo 13. We'll cover all the material that didn't make it into the series, as well as taking a deep dive into the technical causes of the explosion on board. The series is accompanied by bonus material, in the form of photographs and graphics, which will be posted on Instagram, Twitter and Facebook. For more details on Apollo 13, please read Jeffrey Kluger and Jim Lovell’s wonderful book titled 'Apollo 13'. Many of the conversations presented in this podcast are from this book. The crew of Apollo 13 begin their long fall to earth. In this entire episode we stay with the crew as they go around the moon, fight to keep their LEM functioning and their trajectory correct - all while their spacecraft begins to freeze around them. The final episode will be released next Thursday. "I don’t give a damn about the odds and I don’t give a damn that we’ve never done anything like this before. You’ve got to believe, your people have got to believe, that this crew is coming home." Gene Kranz to the Tiger Team, Room 210, April 1970. 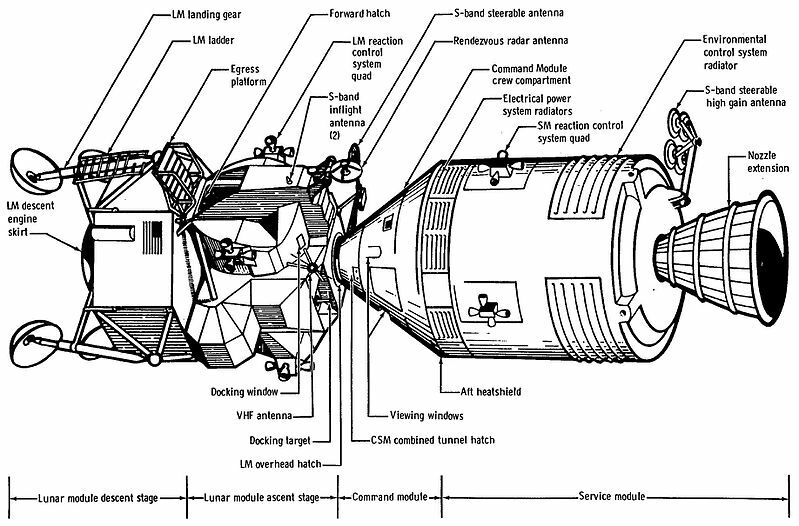 The Tiger Team and Mission Control work through the long range problems of getting Apollo 13 home. Meanwhile, the astronauts attempt to confirm their position and trajectory as the moon continues to grow larger in their windows. A new episode will be released every Thursday. Following the explosion, the three astronauts and Mission Control fight to save the dying spacecraft. And Gene Kranz assembles a team to tackle an impossible rescue. Apollo 13 is 200,000 miles from earth when it’s crippled by an explosion. On board are astronauts Jack Swigert, Fred Haise, and Commander Jim Lovell. In this five-part series we follow the story of the three astronauts, as well as the scores of people in Mission Control, who scramble to bring Apollo 13 home. We take a deep dive into both the human and technical challenges they face. A new episode will be released every Thursday for the next five weeks. The series will also be accompanied by bonus material, in the form of photographs and graphics, which will be posted on Instagram, Twitter and Facebook. Listen to our Apollo 13 teaser, with actual audio from its launch on 11 April 1970. In the New Year we will tackle the story of Apollo 13. In this episode we chat about the podcast journey so far and we discuss the new episodes currently in the planning stages. The collapse of the I40 bridge in 2002 was a tragedy, but its aftermath was a story you simply couldn't make up. Can ego knock a bridge down? How one man's decisions caused the collapse of the Quebec Bridge. Why do the really big catastrophes happen? The earthquakes, the financial crashes, and even the outbreak of the First World War. In this episode we dive into the weird world of complexity theory. The aircraft crashes that changed the world of aviation. And the reason aircraft windows aren't square. On 1 August 2007 at 6:05 pm, during rush hour traffic, the I35-W Highway Bridge in Minneapolis, Minnesota collapsed into the Mississippi River. We’ll look at how a bridge could suddenly collapse after 40 years of service. And we’ll ask was there an issue with design, or was there abnormal bridge loading at the time of the failure? Or was there both? A photograph of the loading on the bridge can be found in the NTSB failure report on page 26, see figure 16. Did the Hanging Garden of Babylon actually exist or was it myth? And why bother talking about it in this podcast? Because apart from whether or not the Garden existed, or more importantly where it was located, the story of its history is fascinating. But even more fascinating is the extraordinary engineering achievement that may have underpinned its very existence. With doctors saying her husband is dying, Emily Warren Roebling sets out on a path to see the great bridge through to completion. The greatest engineering challenge of the age. A male dominated profession. One woman. The collapse of the Tacoma Narrows suspension bridge is one of the world's most recognised structural failures. Were there any warnings from history that this failure could have occurred, and more importantly, if failures like this had ever happened at the past - why did we as a profession forget the lessons learned? The tragic crash of the Virgin Galactic spacecraft carries lessons for all of us. Do failures happen because humans make mistakes? Or do they happen because we design systems that ultimately fail us as humans? What does a stadium collapse, baseball, fire fighting, and taking a shower have in common? In this episode we explore the concept of expertise and ask does it have a dark side? Indeed, can failures sometimes occur precisely because we possess expertise? Sean delivered this presentation to approximately 550 delegates attending the Queensland Mining Industry Health and Safety Conference in August 2016. The title of the presentation was “Wedded to Our Tools – Why Expertise Can Hold Us back”. Look out for the next episode of the Brady Heywood Podcast in mid January 2017. What is not well known about the West Gate Bridge collapse in Melbourne, Australia in 1970 was that it was only one of a string of similar bridge failures that happened around the world. The failures highlighted that the engineering profession’s understanding of these bridge types was clearly lacking. In Melbourne the profession paid the ultimate price: 35 fatalities. Episode 7 - Heart Attacks: Is Less Information More? What can heart attack diagnosis tell us about engineering failures? Perhaps not much directly, but it does provide fascinating insight into whether or not more information really leads to better decision making. This episode examines the story of the system developed at Cook County Hospital in Chicago to diagnose if someone was at risk of having a heart attack. It shows that in some cases less (information) really is more. For a detailed description of Cook County Hospital and their heart attack diagnosis system refer to Chapter 4 of Malcolm Gladwell's excellent Blink. While the technical cause of failure of the Malahide Viaduct in Ireland was straight-forward, the human factor that collapsed the bridge was a relatively new phenomenon: corporate memory loss. Organ donation rates provide surprising insight into how we as humans make rational decisions. This podcast looks at this insight and examines how it can play a role in engineering failure, specifically examining the 2007 collapse of the I-35W Highway Bridge in Minneapolis, Minnesota. In 1978 an engineering design error was discovered in the Citicorp Tower in Manhattan. It was so serious that it threatened the tower’s integrity. This is the story of how it was found and the race against time to fix it. What is the difference between a forensic structural engineer, as opposed to an ‘ordinary’ structural engineer? And what are the roles of these two very different types of engineers in legal disputes? The structural collapse of walkways at the Hyatt Regency in 1981 was one of the most devastating collapses in US history. 114 died, over 200 were injured – needing the emergency rooms of 17 hospitals to treat them. We look at the story from the perspective of those involved. Welcome to the Brady Heywood podcast – the podcast where we look at engineering failures and disasters. My name is Sean Brady, and I’m a forensic structural engineer, which means I investigate the causes of engineering failures. And while I usually focus on figuring out the technical cause of a failure, I’m also interested in the role of human factors in these disasters. Because for every technical cause of failure – not just in engineering, but in any profession – there are a range of human factors that allow these technical issues to culminate in disaster. Which brings us to the subject of these podcasts. We’ll be looking at stories of engineering failure, and talking about the lessons learned from them. We will also be looking at how forensic engineers go about the job of investigating collapses, and we’ll be chatting about their role in legal disputes. Occasionally, we’ll look at successes – but again this from the perspective of asking what were the lessons learned. And from time to time we’ll get into the world of psychology, which will help us look at how we as humans make decisions. So these podcasts are aimed at a wide audience. The good news is that I’ve no plans on getting bogged down technically – for those of you who are interested in the technology I’ll point you in the right direction of the websites and articles you should have a look at. I hope you enjoy these podcasts, and I hope they’ll help you reflect on how you approach your chosen profession – whatever it may be. At the very least I hope they’ll illustrate that sometimes our decision making is not near as rational as we’d like to think it is.